Freebird: Why Film Stars Don’t Speak Up? Why Film Stars Don’t Speak Up? Yet again, the cast and crew of the film Padmavati are hurtling from turmoil to threats and from controversy to crisis. Whether it’s the sentiments of a community, or celebrities from the neighboring country - the film industry has become a convenient target for crusty pride honchos. Repeatedly. What remains unchanged is the silence emanating from the Shehensha’s and Badshah’s of Bollywood. At the outset, let me say that we have a censor board which will decide the fate of the film. Since we haven't seen the film, no one is in a position to judge the merits of the film. However, what we can do is condemn the open threats of bodily harm being made on television. But barring a handful, the Bollywood biggies have decided to stay non-committal. When asked about the Padmavati row, producer Boney Kapoor on the IFFI red carpet said, "Well, it's not my film." Lead star of the film, Padmavati, Ranveer Singh refused to comment saying that it is a very sensitive moment and that he had been asked not to say anything. Also, when actress and censor board member, Vidya Balan was asked why stars shy away from taking a stand, she said that film stars refuse to open up because their views can jeopardize future films and careers of scores associated with the film. Truth is, after the uproar over Aamir Khan’s views on intolerance and outrage over PK, the Hindi film industry realized that it is better to zip-up. Forget starring in a movie that allegedly hurts sentiments, acting in a movie that supports a cause also creates negative vibes. We live in times when emotional fans judge every word coming from their favorite star based on their ideological moorings. Which is why, lead actors and popular stars avoid antagonizing fans. At a time when open threats are being issued on television and the state governments are mute spectators, the silence from the biggies is understandable. A Rishi Kapoor can tweet on Indo-Pak relations but a Salman Khan will not. A Shabana Azmi can speak against threats but a Deepika Padukone will not. Crores and careers are at stake. Looks like everyone loves you if you are apolitical, but the moment you take a stand, you are loathed and ridiculed by those who adored you earlier. Anupam Kher, Hema Malini, Paresh Rawal, Anurag Kashyap, Amitabh Bachchan – there are many who fell from their high pedestal. Gone are the days when Rajesh Khanna, Vinod Khanna and Govinda plunged into politics without stirring a hornet’s nest. It is worth recalling how Amitabh Bachchan scalded himself over and over again by flirting with different political parties. From ‘UP main dum hai kyonki jurm yahan kum hai’ to being the Gujarat and Swachh Bharat ambassador, he is perceived as a celebrity who aims to protect his own panama paradise. He is damned if he speaks and damned if he doesn’t. This brings me to Southern super stars, Rajnikanth and Kamal Haasan. The film industry down South is more vocal unlike Bollywood. Both actors have decided to take a plunge after testing political waters for a long time. There is no denying that after Kamal Haasan’s confusing stand on socio-political issues, he is likely to lose a section of fans painstakingly accrued over fifty years. Not everyone is a Jayalalitha or MGR. Why then are Kamal Haasan and Rajnikanth risking their unparalleled, unblemished reputations? Both are hugely popular, have enough money and power to work for the people if they so wish. In fact, Kamal Haasan’s fan clubs known as ‘Narpani Iyyakkam’ are already doing great social work in his home state. That said, binary definitions are not the way to judge film actors taking a stand on issues plaguing our society. Most film stars mentioned above did not start their journey seeking fame. They were already famous and accepted. For some, the privileges, adulation and recognition fuelled the desire for more. For others, like Jaya Bachchan and Hema Malini, the urge to protect their turf is so overpowering that they get trapped in the system. Although both are active politicians, we are yet to hear them take a stand on issues. Needless to add that when you want to be in the news, public scrutiny becomes your biggest challenge. Foreign trips, bank accounts, land deals, brand campaigns and friendships – all get dissected by fans and political rivals. As a result, most film stars prefer the stigma of conformity than the danger of a controversy. All said, if the film fraternity doesn’t speak up for their peers, who will? While we may not agree with their politics, we can’t deny that our country needs more doers than talkers. We need Rajnikanth and Kamal Haasan to counter the fragmented power hungry factions of the South. We need Aamir and Akshay to walk the talk unlike facebook and twitter fidayeens. Despite an earlier call to ban Aamir, the stupendous success of Dangal should embolden the film industry to take a firm stand. Because the only thing shorter than public memory is public enthusiasm. Related link : My take on cinematic liberties. Read here. Actors portray all kinds of characters but the real person-what s/he believes in and what s/he thinks ought to be denounced-is seldom expressed,especially if it can harm their careers. The film industry has no spine. No wonder they are sitting ducks for any fringe element waiting to get outraged. Smriti Irani, Amitabh, Jaya, Hema Malini......at least these people should speak up. But if they don't doolitivs, politics will so them. Make no mistake, Allauddin Khilji, along with his deadly clique of gangsters, harboured a pathologic hatred against Hindus. For years, Hindus were plundered and pilloried by his armies, but the brunt of his atrocities was borne by Hindu girls and women who were subject to brutal rapes for years in incarceration. Even if the saga of Padmavati is fictitious, it represents the sentiments and sensibilities of the oppressed millions who happened to be Hindus. It is precisely the popularity of the account that people like Bhansali drool after. My question is, why does he want to spray chillies on the still wounded psyche, especially when the fabric of the society is already stretched with dissonance? If he were such an angel who didn't want to distort the history or the fable, why didn't he call the character 'Phoolmati'? Because people wouldn't have flocked to the cinemas then? Is Mr Bhansali eyeing an international audience too, especially in the immediate neighborhood to the east and west, after savouring the fruits of resurgent indigenous Muslim radicalism? And how can I forget the excrements of Maoism who propel the Indian intelligentsia, and whose very survival is dependent on intravenous trickles such as these? Am I forgetting the criminals who are threatening to deface Ms Padukone and decapitate Mr Bhansali? No. But isn't that par for the course out here? When a crazed cleric can issue fatwa against the Prime Minister, I don't care Modi or Raga, and go Scot free, who will provide protection to the average man (and God forbid, girl) on the street? Will somebody stop imbeciles like Abdullah from heaping venom on the motherland when every day there is at least one coffin flowing in from the borders? Why is my hard-earned money being taxed and squandered in a hellhole called Kashmir? 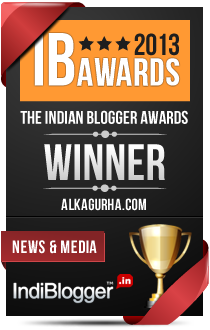 Why is there no proper account of ethinic cleansing of Hindus in Kashmir? Why are the displaced Hindus still not recognised as bonefide residents of Kashmir? 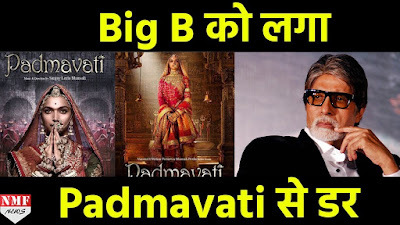 Unfortunately, we do not have any popular story of a Hindu girl from the mini-holocaust that was scripted there, which seems to have tied Mr Bhansali's hands and stopped another epic from being born. But then I may be rejoicing too early. My piece was not exactly about why Padmavati should or should not be made. It was about why film actors don't speak up, in favour or against. I have been tweeting that Sanjay Bhansali was aware that there would be controversy, more so, after Marathas were upset by the Bajirao portrayal. He could very well have called her Satyawtai or Roopmati but he decided to go ahead as he had reaped profits earlier. You can't call it a historical and take too many artistic liberties with a character revered as mother for centuries, real or fictional. Make it fictional, change names but no, they want the best of both worlds. Having said that, it is early to comment given that the Censor Board has not seen the film as yet. Let the board decide. Looks like the film industry is a selfish one. Politics of a different order, the glamorous kind. Once bitten, twice shy could be a reason or is it simply indifference? I don't seem to remember them standing in solidarity against any particular issue, unless prompted by the ruling party, as in their latest promo campaigns. Indeed sad, when you consider they supposedly wield so much power to influence public opinion. Great analysis Alka. Thank you Kala. Always a pleasure to have readers who comprehend what the writer is trying to convey. You are among a treasured few. This article is imperfect, still praiseworthy. And your reply to the comment of Mr. Umashankar also smacks of opting for political correctness (whereas the spirit of your article is quite the contrary). All the same, I respect your views as well as your guts to express them through this post. My two cents - it's the materialistic success which becomes too precious for the popular film stars (and the like wise personalities) to let go. That's why this silence prevails whose breakage may be risky. Those who are in power buy the servility of such people by distributing rewards to them as well as protecting them from (real or imaginary) harm likely to come from their (uncontrolled, unruly and violent)supporters. Your honest feedback is welcome. This post was ONLY about why SRKs and ABs don't speak up for or against the threats. Regarding artistic freedom in Padmavati or MughleAzam, here is my take on cinematic liberties. 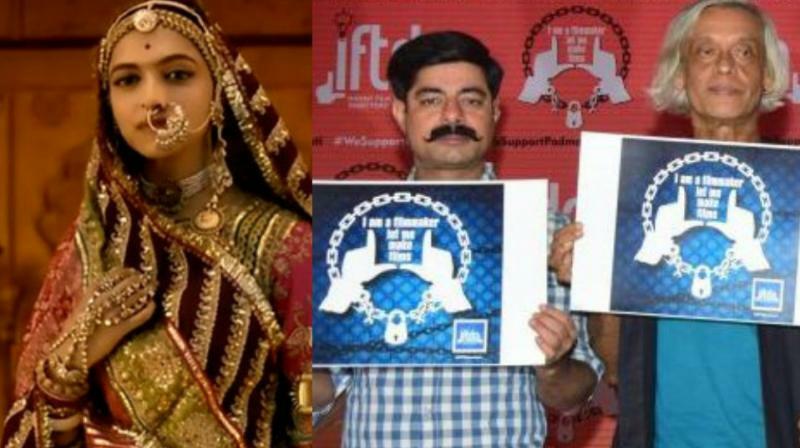 On Padmavati, I'm against a ban once the censor board clears it. We have to learn to respect institutions. And rule of law. On a personal note, I feel when film makers portray historical characters they should stick to facts or change the names to make it fictional. You can't have the best of both - make money using a famous revered name and also make the historical character dance to Pinga. A Milkha Singh can dance to Havan Karenge but when you show a a revered Queen deemed as a goddess dancing, you are on a slippery slope. It may not hurt me but it can hurt those who treat her as mother goddess. And yet, all the hooliganism and threats are condemnable. I am disappointed with many of the leading stars and some who were targeted by Hindu extremists to go silent over the issue. About time the industry comes together as one voice to thwart the attempt to muzzle the freedom of thought and expression. We are living in dangerous times with open bounty to behead a woman in opposition to fiction. SLB has every right to interpret a movie and by all means disagree but not through violence. You have given a very honest perspective to the whole issue. It's not easy being a star or for that matter anybody famous.There's such a huge price one needs to pay by sacrificing one's personal space as well as certain liberties.What Aamir said would have hardly caused the uproar it did, had he been a common man.Damned if you say and damned if you don't,is right on dot. PC designs and fakers were utilized for different sorts of creatures appeared in the motion picture like steed, elephant, parrot, pig, bulls, fowls, ducks, buffalo, hog, bird of prey, swan, and so on.